The Lucas Lab not only strives for scientific excellence but also works to create an environment based on camaraderie and respect. We balance our hard work at the bench with fun times at lab events. Building a team environment is crucial to the success of our members and therefore our science! 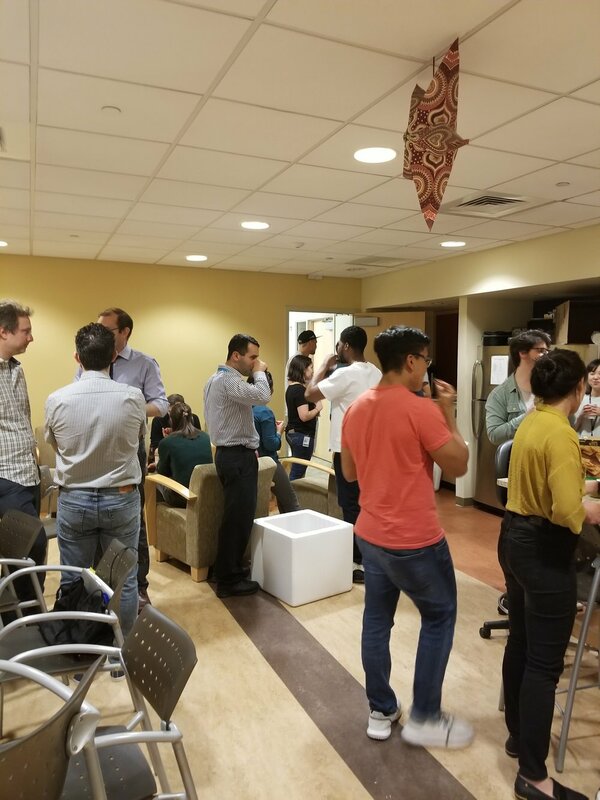 Every month we choose a Friday where our lab joins other labs on the floor to enjoy a happy hour filled with food, drinks, conversation, and fun! This is a good opportunity to unwind, talk casual science, or meet and learn about other people in other labs! Laboratory Outings and Other FUN! Did he just steal from the boss? Let's not kid ourselves. We all played terribly! Dark Lord hard at work? We love to celebrate lab members' birthdays....especially if there are cakes!!! 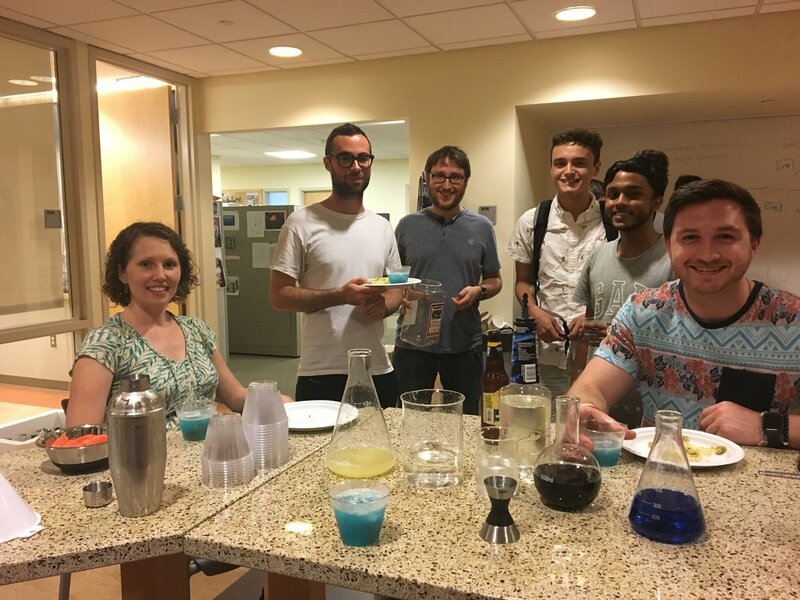 We don't like seeing members of our lab leave...but when they do, we try to have them go out in style with a proper farewell!